House: area total of 130m2 with 3 bedrooms, 2 bathrooms, living room, kitchen and solid brick fireplace. All bedrooms have a built-in spacious closet. 2 full bathrooms with bathtubs. Custom aluminum windows with double glass and solid shutters. 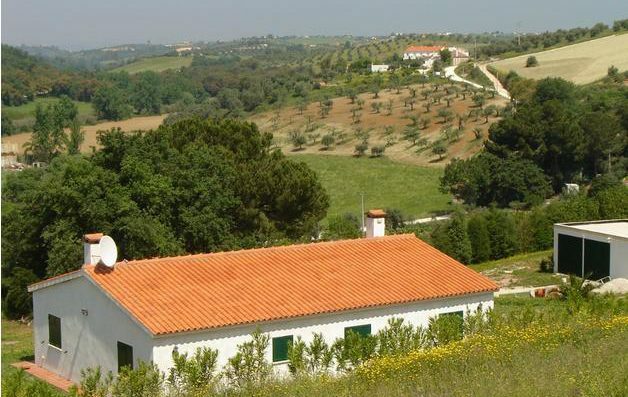 Localization: Santarem, Portugal – 7 km north of Santarem City in the countryside, 65km north of Lisbon. 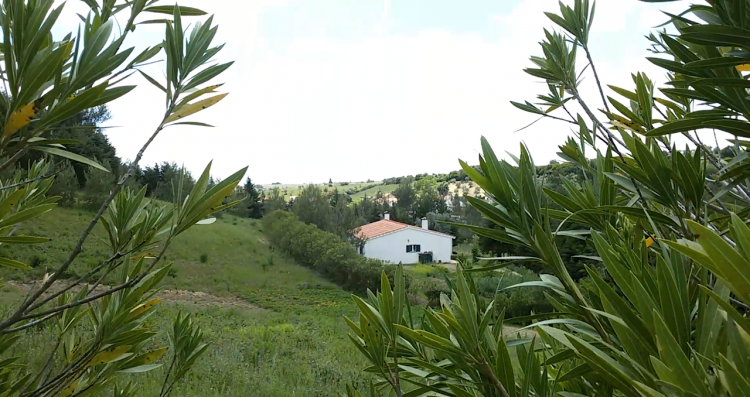 Land: area total of 17.500m2 with 10.000m2 ofgood arable land the rest is forest, pine and other trees. House: area total of 130m2 with 3 bedrooms,2 bathrooms, living room, kitchen and solid brick fireplace. All bedrooms havea built-in spacious closet. 2 full bathrooms with bathtubs. Custom aluminum windowswith double glass and solid shutters. Garage: area 80m2 build with cement blockand flat slab to save rainwater in a side 12m3 tank. Pool: tile pool built with concrete block 5.2×3.2×1.6- 26.5m3, and wooden pergola. The property has public water (city water) andelectricity installed.